Highland Park United Methodist Church | We need each other! 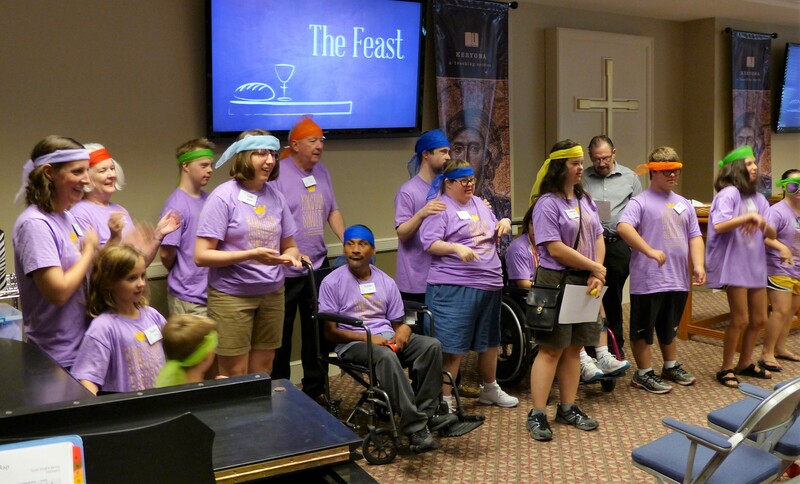 Kingdom Singers is an all-inclusive choir made of folks of all ages, abilities, special needs, love for those with special needs – all coming together to sing God’s praise on Sunday afternoons. Those were the words I heard over and over from the excited group of Kingdom Singers during a recent choir rehearsal. But instead of being embarrassed, I was delighted. During rehearsals, the singers are encouraged to count “Ms. Terrie’s” mistakes. I’ve found that this keeps some of them very interested – waiting to see if they can catch one! This day in particular, I was having a really hard time remembering the words to our anthem correctly. That’s when I heard that familiar phrase echo through the choir room. We all laughed, and kept on going with the rehearsal. We got to the same place in the song, and again, I messed it up. Again, we all laughed, and kept going. When it happened the third time, the walls started shaking with the laughter and chanting! By the fourth time total hilarity ensued! The only word for the support and love I felt in that moment surrounding by a circle of Kingdom Singers, is overwhelming. There were tears in a couple of eyes. And would you guess what happened during our worship time? I got it right! The selfless actions of those choir members that day reminded me of something we all should remember from time to time: We Need Each Other. We Need Each Other. We need to pray for those in need – no matter how small the need might be. We need to support each other when we are having a hard time, whether it’s trouble with a job, our family, problems with a co-worker, or even something as small as forgetting the words to a song! We Need Each Other. We need to circle up, to surround each other with God’s love, and to show our love and care for one another. I’m so incredibly grateful for this group of singers, who are teaching me many more valuable lessons about caring for one another and being the hands and feet of Christ than I could ever teach them. Isn’t that what often happens when we serve others? We end up being the recipient of greater gifts than we can ever give.